The ideal combination of monitoring device and evaluation platform. For every plant size, one or 100 plants, private or industrial. Available in various operational levels for end-users, solar technologists and dealers, the internet platform Solar-Log™ WEB offers comprehensive and professional evaluation programs as well as supplemental services related to the monitoring of photovoltaic plants. With a single inverter installation, even the basic version of data logger offers a wide range of important functions such as graphic data evaluation, email alarms and yield forecasting. The Solar-Log not only measures and compares the yield data of the individual strings, but also the performance data of the individual inverters. This allows errors and malfunctions that are for example due to obscured sunlight, rodent gnawing or inverter failure to be quickly and reliably analyzed. Every 15 seconds the Solar-Log checks the performance data of the plant and logs up to 200 events per inverter. In addition it also identifies derating conditions or network malfunctions being experienced by the power network operator. With Solar-Log™ WEB “Commercial Edition”, the portal operator can issue the plant owner with a maintenance contract and can therefore offer his customers an extended and professional form of plant monitoring. This enhances the level of customer support provision. Solar-Log™ supports this “Full Service” maintenance concept through online access to the plant. The portal operator offers the complete package with monitoring, maintenance and servicing of the solar power plant. This enables the portal operator to respond rapidly to fault messages and to save valuable time, effort and costs. Changes to the Solar-Log™ configuration can be made conveniently from the office. The plant owner always has access to yield and plant data. 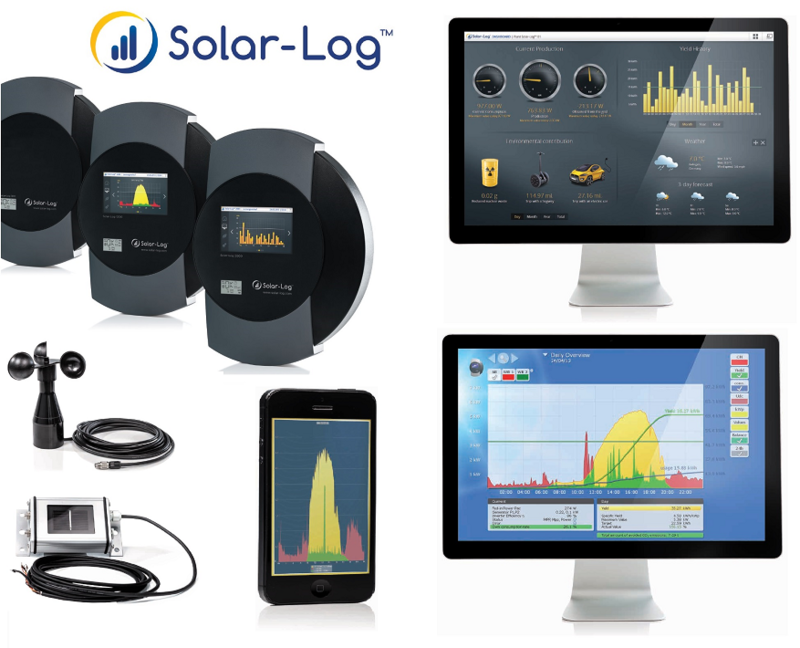 Solar-Log™ WEB Classic 2nd Edition offers the basic functions for plant monitoring. Private plant owners monitor their own plant and independently evaluate faults. The yields and evaluations are depicted in the form of graphics. “Classic 2nd Edition” is free of charge up to 30 kWp (depend on country), above which modest fees are applicable.